Department of Soil Science and Agricultural Engineering, State University of Ponta Grossa, Campus Uvaranas - Av. General Carlos Cavalcanti, 4748 – CEP 84030-900, Ponta Grossa (PR) Brazil. that employees earn a value for each hour worked (Poli Neto et al., 2016). In the piecework system, payment is based on the production of pieces (Carraro et al., 2014). An advantage of the fixed, base salary system is that it provides more balance for company budgets, using a system of roles and salaries. This method of payment allows employers to compare salaries within the market. It also leads to a feeling of justice among workers due to the standardization of remuneration. However, in this system, workers do not feel motivated to increase their productivity because they will earn the same salary whether they work hard or not (Chiavenato, 2002). The piecework system provides some advantages and disadvantages for companies. In terms of advantages, it adjusts payment according to performance; it acts as a motivational factor, it focuses on targets and results, it allows workers to evaluate their own performance, and it does not influence the fixed costs of the organization. However, it also brings some disadvantages because it requires a certain disorganization within the administration of the company; it destabilizes logical and rigid salary structures; it reduces the centralized control of salaries, as well as causing complaints from employees who do not benefit from the system, union pressures, decreases in the quality of products, and increases in absences from work due to overwork (Araújo, 2006). Shirom et al. (1999) studied the emotional state of 2,747 employees from 21 companies using different forms of payment and found that those who were paid by piecework suffered from higher levels of depression and somatic complaints compared to those who were paid hourly, . Shi (2010) compared hourly pay and piecework in the area of plant pruning and concluded that payment based on piecework increased productivity by around 20%. The author also found that there was no decrease in the quality of the service. 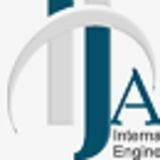 International Journal of Advanced Engineering Research and Science (IJAERS) https://dx.doi.org/10.22161/ijaers.6.4.22 Kube et al. (2013) found that changing the forms of payment to workers within a company resulted in a reduction in productivity of up to 20%. However, equivalent wage increases did not result in increased productivity. Monetary incentives to workers depending on performance highlighted the productive potential to be exploited. Kandilov and Tomislav (2016) studied agricultural workers and reported that forms of payment were related to the characteristics of the professional. Conservative people opted for the traditional payment system, whereas more adventurous people preferred the piecework system. The objective of this experiment was to compare employment contract systems based on hourly pay and payment for piecework in the main activities performed in an ornamental plant production company. II. MATERIAL AND METHODS The experiment was carried out in a company that produces ornamental plants. The company was founded 35 years ago; it has more than 2,000 customers and employs around 150 employees. The company had always worked with contracts that remunerated workers based on the number of hours worked. The piecework system was introduced in the company in order to create a situation of mutual gain. The objective of the enterprise was to reduce labor costs and to provide better remuneration for the more efficient employees, without affecting the rest time and the quality of work. The experimental design was completely randomized, with four treatments and five repetitions. The treatments consisted of hourly payment in the first year and piecework in the second, third and fourth years. The analyzed variables were the containers that were worked on (trays h -1 and pots h 1 ) and the hourly remuneration paid to the workers in relation to the movement of containers (trays/pots), spacing between containers, flower and leaf removal per container, plant pruning and plant selection per container. The repetitions occurred with the agglutination of the data in five periods of the year, with an average of 73 days of activities for each analyzed variable. The movement of containers (trays/pots) was necessary for the full development of the plants. This activity involved the transport of containers (trays/pots) between greenhouses and courtyards with solar radiation. The work to alter the spacing between the plants was necessary to supply the needs of area and light for the development of the plants. The containers were placed on the floor and on holders. The flower/leaf removal consisted of removing specific parts of the plants for their adequate growth and also because of market preferences. Depending on the type of work to be done, it was necessary to use a special pruning tool and extra material to raise the plants to an adequate height. Each worker had the following duties: to choose the plants using quality control (color, shape, size); clean the plants; remove the weeds; separate the containers in batches; water the plants; classify them; put bar codes on the plants; and organize the distribution location. Each worker had the duty to choose the plants following a quality control (color, shape, size), clean the dirt, remove the weeds, separate containers in batches, irrigate, classify, put bar codes and organize the distribution place. In implementing the new remuneration system, the company determined the following rules: a) every worker had the right to be paid based on productivity; b) all the activities were to be performed with efficiency and quality; c) the moments for meals and breaks were be strictly respected; d) all safety rules were to be followed; e) the areas of work were always to be clean and organized. The obtained values were submitted to Hartleyâ&#x20AC;&#x2122;s tests to verify the homoscedasticity of variance, and Shapiro Wilk tests to examine the normality of the data. For the analysis of variance, the Fisher-Snedecor test and polynomial regression were used with a level of confidence higher than 95% of probability. III. RESULTS AND DISCUSSION The data tabulation showed that plant selection (trays/pots) consumed 49% of the workers' time. The pruning 28%, removal of flowers / leaves consumed 14%, movement of containers took 6% and spacing between plants 3%. Hartleyâ&#x20AC;&#x2122;s test demonstrated the homoscedasticity of variances and the Shapiro Wilk test proved the normality of the data; therefore, the transformation of these data was not necessary. Studying the results regarding the containers, (trays h -1 and pots h -1 ), an increase in productivity could be observed forall the activities (Fig. 1). The piecework system increased the rate of movement of containers (trays/pots) by 137%; spacing between containers by 141%; flower/leaf removal by 54%; pruning by 62% and plant selection by 75% compared to the hourly pay system. These results corroborate the conclusions of Shi (2010) and indicate the productive potential of the workers to be exploited, as emphasized by Chiavenato (2002) and Kube et al. (2013). International Journal of Advanced Engineering Research and Science (IJAERS) https://dx.doi.org/10.22161/ijaers.6.4.22 The polynomial regression that best fit the data was the quadratic one, highlighting a reduction in the productivity of the workers over the years. The motives may be associated with the caveats of the system quoted by Araújo (2006) and Shirom et al. (1999). Even after two years using the piecework system, the worst performance compared to the hourly pay system was still 33% more in relation to flower/leaf removal. The statistical analysis indicated a significant increase in remuneration for workers us ing the piecework system (Fig. 2). The comparison between the first year (hourly pay) and second year (piecework system) s howed that the in the second year the workers' earnings rose (US$ h -1 ) by 48% for container movement (trays/pots), 49% for container spacing, 39% for flower/leaf removal, 29% for pruning and 25% for plant selection. The workers interest in increasing their earnings was very evident with the change to the piecework system. These results emphasize the advantages of the system for both companies and employees, as proposed by Araújo (2006) and Kube et al. (2013). The regressions were quadratic for the five studied activities. After the enthusiasm generated by the change in the payment system, there was a downward trend in pay per piece worked over the years. The reasons may have been related to increased illness due to overwork at the activities, as well as higher levels of depression and somatic complaints; as highlighted by Shirom et al. (1999) and Araújo (2006). Despite the fall in enthusiasm of the workers over the years, their salaries were on average 33% higher in the piecework system than in the hourly pay system. The values were 20% higher than the earnings cited by Shi (2010) in a pruning company. Thus, in addition to the professional characteristics mentioned by Kandilov and Tomislav (2016), the piecework system increased the employees earnings. IV. CONCLUSIONS The income from the activities carried out and the remuneration rose significantly for all the evaluated variables when the company began to use the piecework system. REFERENCES Araújo, L.C.G. Gestão de pessoas: estratégias e integração organizacional. Atlas: São Paulo,2006, 428p. Fig. 1: Handling of containers (trays/pots) h -1 in employee remuneration systems of hourly pay (first year) and piecework (second to fourth year) in a company producing ornamental plants in the USA. Fig. 2: Remuneration, in US$ h-1 , in the system of hourly pay (first year) and piecework (second to fourth year) in a company producing ornamental plants in the USA.